Some of your New Year’s resolutions may be to break a few of your bad habits and to take on some new, positive habits. If you’d like to improve your investing habits, setting up daily, monthly, and yearly routines may help. Simple day-to-day routines may be the key to your investment success. 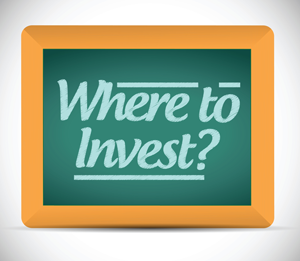 It’s important for you to know where your investments stand and to learn from past mistakes. Taking the time each day to gather and record this information may help you throughout the year. Develop a regular reading and research routine — Set aside a small part of each day to read about investments. Perhaps a good time for you is while you’re having your morning coffee. While there is a plethora of financial literature available, you don’t need to read everything that is printed. Instead, carefully choose those publications or websites that give you a clear idea of how the market is performing. You should also read about your particular investments. Keep a daily journal — Jot down notes on trades you make, what happened in the market that day, and your perspective on the investment climate. Over time, your diary entries may reveal patterns and provide you with insight. Recognizing past investment mistakes is the first step in learning from them and modifying future behavior. Get in the habit of evaluating your investments on a monthly or quarterly basis. More frequent assessment isn’t recommended because you may be tempted to make changes based on short-term fluctuations in your investment values. Evaluate everything — Take a look at how everything is doing — not just your retirement accounts or your stock holdings — to get an indication of overall performance.1 Gains in one holding might be offset by declines in another, so you need to see the big picture. Start keeping score — Pick appropriate yardsticks to measure the performance of your investments. For example, choose benchmark indexes that track the returns of the types of securities in which you are invested. Once you’ve established your yardsticks, start keeping score. Once a year, take the time to do a complete review of your investment strategies. Since it may be hard to stick to an annual habit, tie it to another yearly task, such as preparing your income taxes, spring cleaning, or end-of-the-year organizing. Review your results — Your routine investment habits may come in handy at the end of the year. Reading your investment diary should help you analyze your successes and failures throughout the year. Your scorecard may help you determine the effectiveness of your investment strategy. Your financial professional can help you invest to meet your goals.